PHILADELPHIA, Aug. 8, 2013/PRNewwire-USNewswire -- E-cigarette users can breathe a little easier today. A study just released by Professor Igor Burstyn, Drexel University School of Public Health, confirms that chemicals in electronic cigarettes (e-cigarettes) pose no health concern for users or bystanders. This is the first definitive study of e-cigarette chemistry and finds that there are no health concerns based on generally accepted exposure limits. 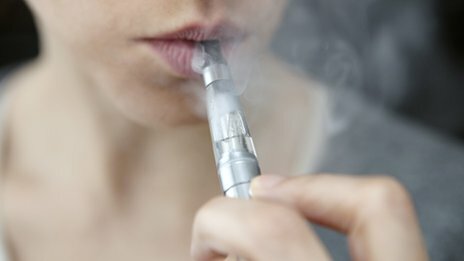 E-cigarettes are devices that heat a nicotine solution to create an aerosol (called “vapor”) that the user inhales, similar to smoking a cigarette. They are used as a low-risk substitute for smoking by millions of former smokers, and their increasing popularity seems to account for the current downward trend in smoking in the U.S. and some other countries. While experts agree that the risks posed by e-cigarettes are significantly less than those posed by smoking, there had been some debate about how much lower the risk was. The study did caution that e-cigarette users are inhaling substantial quantities of the main chemicals in e-cigarette liquid (propylene glycol and glycerin). While these chemicals are not considered dangerous and the levels are far below occupational exposure limits, Dr. Burstyn did suggest ongoing monitoring to confirm that there is no risk. The chemical contaminants are of even less concern. While there have been many claims that formaldehyde, acrolein, nitrosamines, metals, and ethylene glycol found in e-cigarette vapor poses a health hazard, the study concluded that all of these have been found only at trivial levels that pose no health concern.